DESCRIPTION Over 4200sq.ft developed in this executive home in the Willows of Wentworth is being offered for sale for the first time. Situated on a 1/4 acre treed lot with extensive rock work and landscaping, this 5 bedroom, 4 bathroom is sure to impress. Nestled in the trees at the end of a cul-de-sac, you will love the privacy that this home offers. The elegant foyer with vaulted ceilings and stone tile can easily handle all your guests. The hardwood floors are an upgraded distressed walnut and the kitchen will bring out your inner chef; with custom cabinetry, leathered granite countertops, upgraded stainless appliances including a Viking gas range, oversized fridge with ice and water, large centre island with a raised breakfast bar, walk in pantry and a bright kitchen nook which overlooks the backyard. Also on the open concept main floor is a beautiful living room with a gas fireplace, and an elegant dining room. Upstairs are 4 generous bedrooms including one with a Juliet balcony and a Master Suite with sitting area, expansive walk-in closet, oversized steam shower with rain head and 2 person soaker tub. 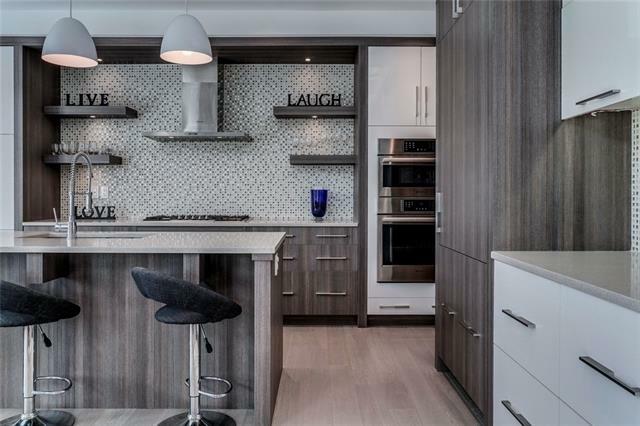 The lower level has a wet bar with custom cabinetry, granite, built in drawer dishwasher, and Coca Cola fridge. The gas fireplace, in-floor heating and games room making this a perfect spot for hosting parties or watching the game! Also on the lower level is another bathroom, bedroom and toy room. Triple garage has room for all the toys. South facing backyard features a wood deck, with lower rock patio, with room for a hot tub and more. This home provides truly wonderful private oasis to entertain your friends and family. Close to all amenities, including top schools, restaurant, shopping and a short commute to downtown. Home for sale at 4 Wentwillow Ln Sw Calgary, Alberts T3H 5W7. 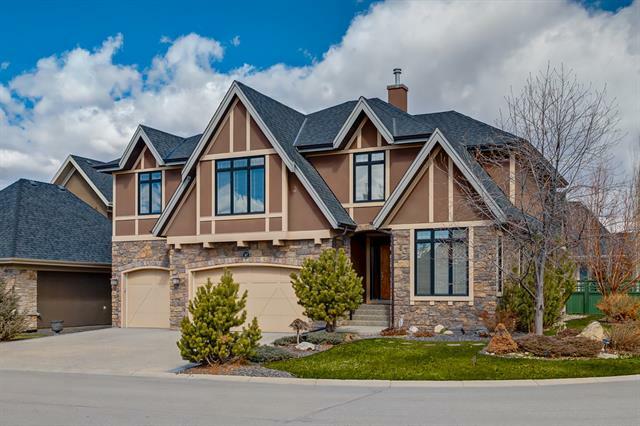 Description: The home at 4 Wentwillow Ln Sw Calgary, Alberta T3H 5W7 with the MLS® Number C4235800 is currently listed at $1,090,000.